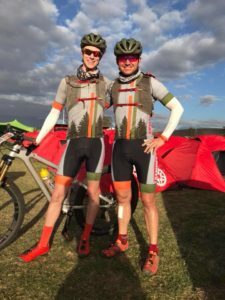 Last month, two local mountain bikers, Luke Brechwald and Brian Koder, teamed up for the experience of a lifetime. It’s been called the Tour de France of mountain biking. 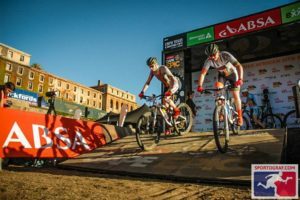 A grueling eight-day stage race that covers more than 700 kilometers on the Western Cape in South Africa, the Absa Cape Epic is a draw for the best mountain bikers in the world. The pros compete for large cash prizes, while amateur riders compete just to get to the start line. Every year, thousands of riders enter a lottery system for one of the 600 team slots open to amateurs. 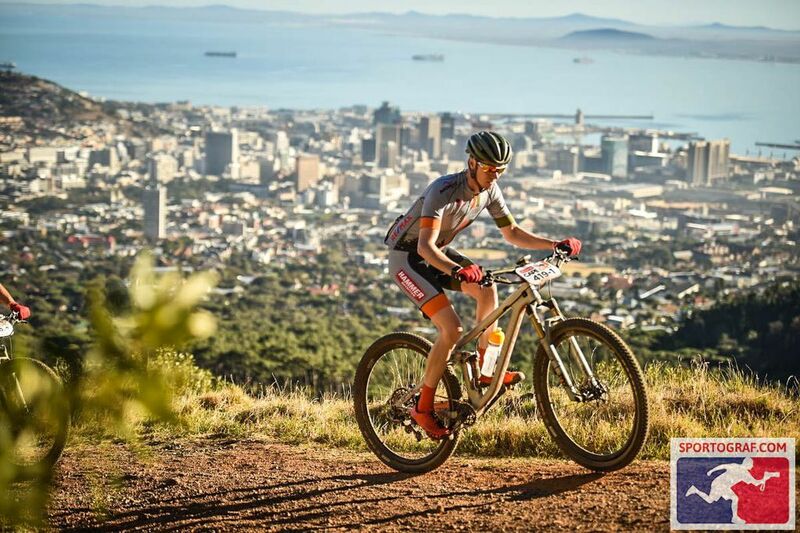 The Cape Epic had been on Luke Brechwald’s radar for a while. “I’ve been following it for probably 10 years,” he explains. “I mean, it’s the biggest mountain bike race in the world. It’s the biggest, baddest, longest, hardest … it’s the king of mountain bike races.” Participating was kind of a pipe dream for the 31-year-old real estate broker with Re/Max Parkside. He applied in 2016 as a way to mark his 30th birthday, but the lottery wasn’t in his favor. While watching the finish of the race online in March of 2017, he saw the lottery for 2018 open up and thought he’d try again. On June 1, 2017, he received notification. He was in for 2018. The next step was an important one: finding the right teammate. Enter Brian Koder, one of the owners of Joy Ride Bicycles in Lacey. While Brechwald started racing mountain bikes as a teenager and traveled the national circuit as an elite junior and espoir (U23) rider, Koder spent his twenties and thirties in the Army. While he had always enjoyed cycling, he didn’t start racing until about 10 years ago. He is also older than Brechwald by 19 years. That said, Koder has been riding endurance events for the past four years, and Brechwald had not trained seriously in almost a decade. “When I got in, I hadn’t ridden more than once a month in years,” Brechwald says. They knew the training would be intense. Endurance mountain biking is not for the faint of heart. Some day-long events cover 100+ miles. Koder has participated in a number of races in the NW Epic series, and he’s ridden the Leadville 100 race three times. “That one has taken me anywhere from 10 hours and change, to over 11 hours (to complete),” he says. 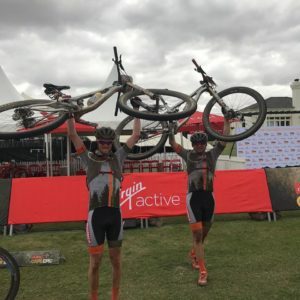 Those races are tough, but the Cape Epic is its own special brand of suffering. “It’s endurance on top of endurance,” says Koder. Brechwald chimes in, “Each day is an endurance race in itself.” The team knew they’d be sitting in the saddle for eight to ten hours a day for an entire week. It was time to get serious. “That’s a skill that’s underrated,” says Brechwald. “The maturity to do that – to say I’m going to ride this pace all day long, and that’s okay.” As for Brechwald’s strengths, Koder points to his technical riding ability and overall fitness. He also applauds his friend’s patience, an asset that would come into play during their race. 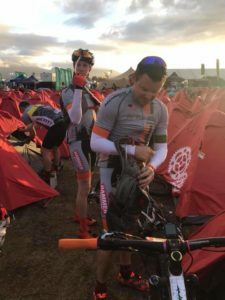 Teams have to rely upon themselves when mechanical issues arise in remote areas, so having the same basic bike meant Brechwald and Koder could minimize the number of spare parts and tools they needed to carry on course. As part of their preparation, the pair purchased identical Norco mountain bikes, making sure they were dialed to their individual liking. Both are skilled mechanics, but due to taking meticulous care of their equipment in the evenings, they didn’t have any mechanical issues. One of the unique features of the Cape Epic is the team concept. It was originally instituted because the course moves through remote areas, and having teammates, bound by race rules to look after each other, serves as a safety function. Riders are required to remain within two minutes of each other at all times during the race or face a one-hour penalty. Brechwald recognized the entire Stage Two day was touch and go for his teammate. It was a mindset change for them both. The goal was no longer finishing in a competitive time, it was just finishing the stage. Every year, about 100 teams have to drop out of the race for various reasons. They did not want to be part of that statistic. Koder credits the announcer at the final Stage Two aid station with spurring him on to finish that day. “He’s the one that was like, ‘You can’t quit. You look too good to quit. I’ve seen people that quit; you can’t quit. You’ve done the hard part of the stage. You can do 18 more kilometers.’” It was the impetus he needed. The pair completed the stage, and Koder started feeling better the next morning. The team says they aren’t really interested in their overall placement, but they do know that after what could have been a race-ending day, they started gaining momentum, and six days later, when it was all said and done, they had ridden more than 450 miles, climbed more than 45,000 feet, and gained a lifetime of stories to tell. They’ll be sharing more of their adventures, in person, at an informal gathering at Joy Ride Bikes on Thursday, April 19 at 6:30 p.m. Check out the event on Facebook for more information.